Brides, Do You Know the Difference between Traditional, Mineral and Airbrush Makeup? Undeniably, all brides want to look flawless and better-than-the rest on the most important day of their life. “I will apply no makeup on my wedding day” no bride-to-be has said ever. 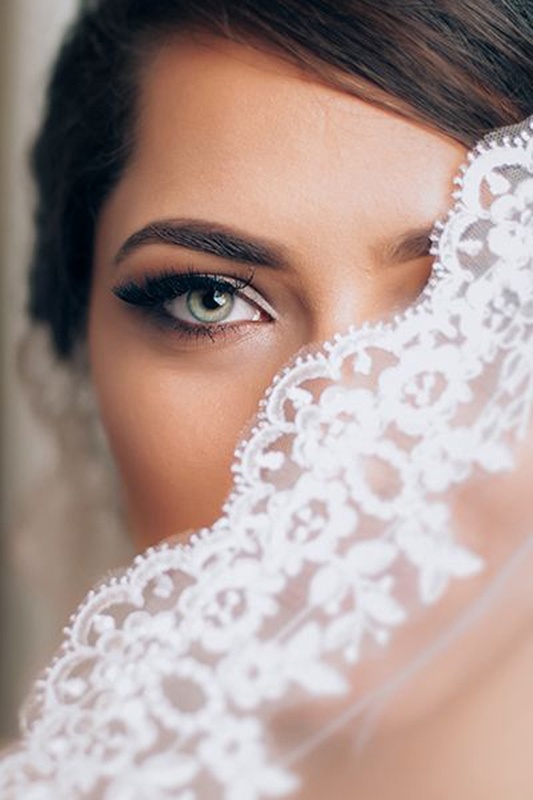 Whether you’ve hired an ace makeup artist or decided to do your own wedding makeup, it’s crucial to know what type, kind and medium of makeup you’re applying. Helping you distinguish between the popular mediums of makeup, we’ve compiled an easy-peasy informative post that doesn’t confuse you with the makeup jargon. Most versatile of all makeup mediums, traditional makeup is the use of regular cosmetics that includes pressed powder, pancake, liquid and cream. Its widest range makes it an easy choice to pick the right shade and play with an assortment of colours to complete your bridal look. Just like an artist would paint a picture, traditional makeup artists craft your look using brushes, sponges and fingers. This type can be used in any way you want on any skin type. What brides need to know about traditional makeup? With an increasing number of people becoming health and environmentally-conscious, mineral makeup is their go-to choice when they wish to “go green” with cosmetics. Mineral makeup is basically natural minerals such as iron oxides, talc, zinc oxide, and titanium dioxide that are micronized, or ground and milled to form fine powders, which can be used for application on your face. Mineral makeup can be applied using a brush, as well as a sponge to create a smoother and matte finish on your skin. Most lines of mineral makeup are primers or foundations used to set the natural base of your face. What brides need to know about mineral makeup? With limited range of natural shades available, it’s difficult to find a skin tone match. Extremely light as feather kind of makeup applied through an air gun machine that produces an evenly thin layer of makeup on your skin creating a stunning matte finish. This is a sanitary way of applying makeup without the use of any brushes, sponges or fingers. Airbrush makeup, also known as HD (high definition) makeup, is popularly used by television and film actors. Unlike traditional makeup, airbrush is not rubbed, but misted onto the face preventing any clogging of your pores. Circular or forward-back motion with the air gun is used to apply the foundation. For application on difficult areas such as eye-liners, artists use stencils. What brides need to know about airbrush makeup? Not suitable for mature skin and one with deep pores. Ultimately, it comes down to how your artist can best use either of the mediums to create a flawless look. Since mineral make-up is not that camera-friendly, it automatically is out of the way. That leaves you to decide whether you would want to go the airbrush or traditional way. For a wedding in a budget, the traditional fits well. Since, it’s your once-in-a-lifetime moment and you don’t mind splurging a little to achieve that perfect look, then airbrush is the way to go. If you’ve tried either of these mediums as your makeup trial or on your wedding day, send us your pictures at content@weddingz.in and we’ll them in our next blog on great makeup inspirations.